Enhance the beauty of your residential or commercial space with the MARAZZI Riflessi di Legno 23-7/16 in. x 5-13/16 in. Cherry Porcelain Floor and Wall Tile. 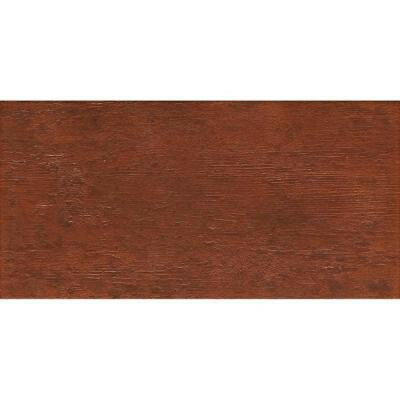 Treated with a rustic wood-grain glaze, this attractive tile adds strength and elegance to floors, walls and countertops. This durable tile has a durable frost-resistant construction that makes it a great choice for both indoor and outdoor applications. You can buy this product in our internet market. We will be glad if you make the right choice. 9.46 square feet per case, 10 pieces per case. Case weight is 55 lb.